Chicken, Swiss in Mushroom Sauce Special!! The hubby decided to give me a break today from the kitchen (Which by the way is very hard to do to get me out of the Kitchen). 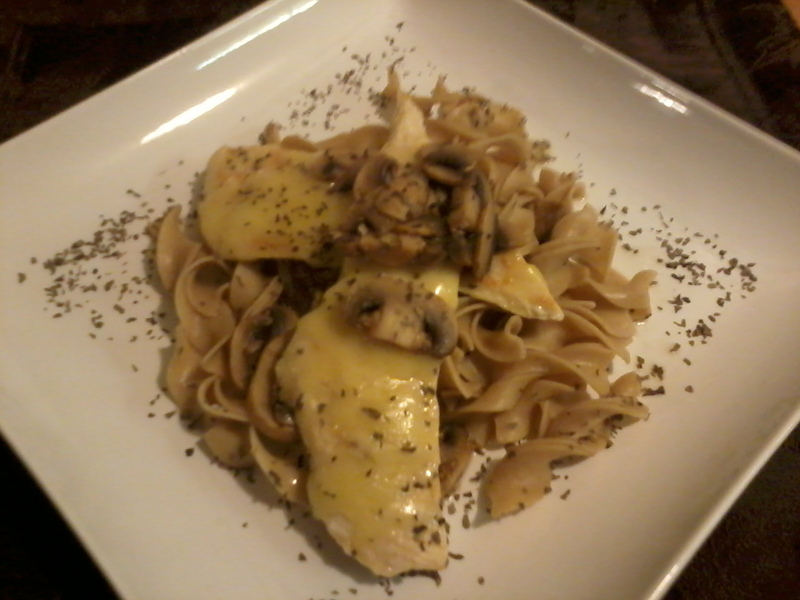 So he cooked up his famous Chicken, Swiss (used Kerrygold Swiss & Blarney Cheese) and mushroom in Sherry sauce (in this one he used a Marsala sauce instead) with some Whole Wheat noodles. Previous Post Cordon Bleu That You Can Do! This looks so delicious – and very rich. Lots of great flavors all working together!